↑ "The Population of Bristol August 2013" (PDF). Bristol City Council. Archived from the original (PDF) on 11 February 2014. สืบค้นเมื่อ 18 April 2015. ↑ "2011 Census: Ethnicgroup, local authorities in England and Wales". Census 2011. Office for National Statistics. Archived from the original on 16 January 2013. สืบค้นเมื่อ 12 December 2012. ↑ Langenohl, Andreas (2015). Town Twinning, Transnational Connections, and Trans-local Citizenship Practices in Europe. Palgrave Macmillan. p. 18. ISBN 978-1-137-02123-6. ↑ "A history of town twinning". MDRT. Archived from the original on 22 January 2016. สืบค้นเมื่อ 30 December 2015. 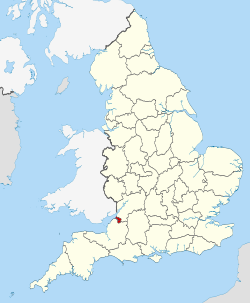 ↑ "British towns twinned with French towns". Archant Community Media Ltd. Archived from the original on 5 July 2013. สืบค้นเมื่อ 11 July 2013. ↑ "International Relations of the City of Porto" (PDF). City of Porto. Archived from the original (PDF) on 13 January 2012. สืบค้นเมื่อ 8 June 2015. ↑ "Tbilisi Sister Cities". Tbilisi City Hall. Tbilisi Municipal Portal. Archived from the original on 24 July 2013. สืบค้นเมื่อ 5 August 2013. ↑ "UK twinning links with towns, communities, schools and universities in Nicaragua". Nicaragua Solidarity Campaign. Archived from the original on 5 May 2014. สืบค้นเมื่อ 5 May 2014. ↑ Sharp, David (September 2008). "Twinning, Cities, and Health: Opportunities Being Missed?". Journal of Urban Health. 85 (5): 637–638. doi:10.1007/s11524-008-9293-8. PMC 2527438. PMID 18563572. ↑ "Guangzhou Sister Cities via WaybackMachine.com". Guangzhou Foreign Affairs Office. Archived from the original on 24 October 2012. สืบค้นเมื่อ 21 July 2013. ↑ "Bristol City – Town twinning". Bristol City Council. Archived from the original on 22 January 2013. สืบค้นเมื่อ 27 January 2013. หน้านี้แก้ไขล่าสุดเมื่อวันที่ 9 กันยายน 2561 เวลา 04:49 น.